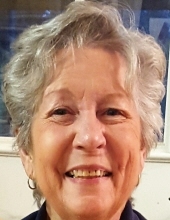 Thelma “Jane” McCracken Savell, 81, of Madisonville passed away January 25, 2019 in Madisonville, Texas. She was lovingly known to her family as “Momma Jane”. Jane was born on August 3, 1937 in Cleburne, Texas. She met her husband, Billy, while he was stationed at Craig Air Force base in Alabama, and they were married on October 1, 1953 in Lownds County Mississippi. She teased that Billy insisted she walk across the state line herself because she wasn’t quite eighteen. They were happily married for fifty-one years. They eventually moved back to Madisonville, Billy’s hometown, and she lived there for 38 years. She was a member of the First Baptist Church. She was one of the founders of B & J Machine Works, Inc. in Madisonville, Texas. In her early years she owned a dog grooming business and taught dog grooming classes at Del Mar Junior College in Corpus Christi, Texas. Jane was devoted to taking care of her family and the business she helped found. She delighted in her grandchildren and great-grandchildren. She loved on them and bragged about them every chance she had. She also loved watching her cattle and shopping. She is preceded in death by her husband Billy Savell; their son Randy Savell; her parents Floyd W. McCracken and wife Sybal and Georgia McAnear Coggins; father-in-law and mother-in-law Howard and Georgia Wells Savell, and two brother-in-laws Howard Savell II and James Savell. She is survived by her son, Bengie Savell and wife Debra of Madisonville, Texas; her grandchildren, Corey Savell and wife Brandie of Bryan,Texas; Jamin Savell and wife Rachel of Willis,Texas; Weston Savell and wife Jen of Friendswood, Texas; Stephanee Garrett and husband Blake of Madisonville, Texas; great-grandchildren Randy and Carlie Savell, Chanan and Luke Savell, and Brianna, Brynlee, and Owen Garrett; her sisters Sharon Boutwell and husband Hayden of Alabama; Sandy Hubbard and husband Ira of Tennessee; sister-in-law Mary Ann Savell of Baytown, Texas and her daughter Mindy Messick; her step-sister Geri Duke of Colorado: and numerous nieces, nephews, and other relatives. Visitation will be held at the Madisonville Funeral Home on Wednesday January 30, 2019 from 5 p.m. to 7 p.m. A private Funeral Service will be held for the family at a later date, and will be officiated by her grandsons, Jamin Savell and Weston Savell. Madisonville Funeral Home is in charge of arrangements. To send flowers or a remembrance gift to the family of Thelma "Jane" (McCracken) Savell, please visit our Tribute Store. "Email Address" would like to share the life celebration of Thelma "Jane" (McCracken) Savell. Click on the "link" to go to share a favorite memory or leave a condolence message for the family.